With a price tag expected around $35-40k, four seats and a 258 mile range, is this the first car that really competes head to head with Tesla's 3? On paper, probably. In reality, doubtful. Most people buy a Tesla for status, they aren't going to cross shop with Hyundai even if it's a better buy/car. I think it comes at a fair price and has the packaging of a "crossover" that the unwashed masses covet. But it really is not much different from an eGolf as far as price,and specs which nobody seems to consider a threat to Tesla although the Kona has twice the range.. I do think they will sell as many as they can build until some new comes along or they run out of tax credits. There are also thousands of people who will buy an EV in the right packaging at this price who want Tesla's but can't stomach the bait and switch pricing. I know a guy who got his model three last week. It has been all he has been dreaming about for over a year. But he is the type of guy who is a cheap skate on EVERYTHING and was driving a beat up Pontiac Grand Am. He fell for the hype and now will have massive monthly payments for the next five years. People like him with a green, cool "way out" might pick a different car than the Model 3 if they have choices. I like the idea of EV's, but I just think in five years they will grow on trees and compete on price, so why get one now? Last edited by vader1; 10-15-2018 at 01:31 PM. I agree a lot of folks think Tesla is cool and want one just like they want an iPhone. For me the big issue has always been range, and no one was close to Tesla on that. Now the EV field is getting crowded with the majors, and I can see pressure on Tesla building fast. 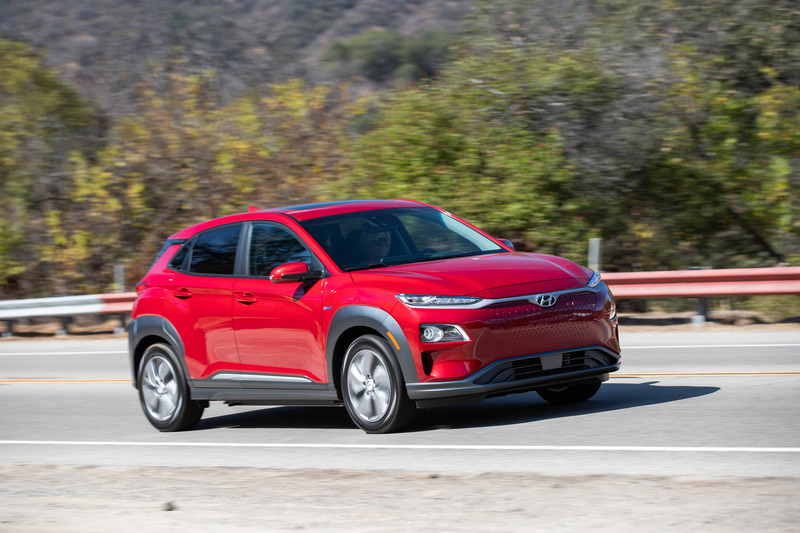 Hyundai / Kia have been aggressive about eating the lunches of established automakers with great product quality and features for less money, and i don't see EVs being any different. It's one thing to build a car of middling quality when you're the only one doing it, but as more competition comes online, I think that will continue to eat market share. One thing I think is smart is Tesla going back to the ~$100k sports car - got to pad those profit margins. Range is the key for me with EV's, along with quick charging to expand the range. I'm sure the future will be all electric, but until they can compete with gas/diesel vehicles it's a no sale for me. I do too many long distance drives to have an EV right now. How distant do you see that future? The more cars goes to electric, the more the cost of electricity will go up. The less cars that use gas, the demand for gas goes down, along with the price. I don't see millions of gas stations going under any time soon. Just like they said autonomous cars were days away, and now they say in mainstream use, we are talking ten years away, I think the demise of the ICE engine is far off. My wife lobbies for an electric utility. The eco-nuts went after coal plants, and have largely been successful at shutting them all down. Few remain. The eco-nuts wanted to convert to cleaner, natural gas so the power compaines converted their plants at some expense. Now the eco-nuts are trying to shut down natural gas plants as the new goal. 100% renewable!!! With "renewable" defined by them. No garbage burners (nothing that burns anything, biomass included) no hydro (those are bad for ecosystems), no nuclear, no natural gas (CO2 AND fracking), just wind and solar. Good luck with that. You'd pay 10 times what it costs to fuel a gasoline car to get back and forth to work. Last edited by vader1; 10-16-2018 at 08:35 AM. Yeah, I think at least that long. The gird could not handle just fueling an all electric fleet at this point, nor could we generate it. I just know some folks who think all electric is within the next 5-7 years, and that is wayyy to optimistic. A friend of mine is a senior engineer that focuses on new project feasibility and costing in the Vancouver (Canada) area for the provincial utility company. He told me that there is no way Vancouver could handle even 30% of vehicles being all-electric, much less 75%+ (ie, the majority), without spending billions on infrastructure. That kind of cost would drive our rates through the roof and take decades to build out. Those are massive limitations to the full acceptance and use of EVs. Imagine what it'd take to upgrade the entire Canadian or US power grids! There's another issue about infrastructure as well. Tesla is pretty much the only organization with a national charging solution today, and while that technology is made available to others to use, each automaker is going their own way, so now you have different connectors and systems that can't be used, which is slowing progress and increasing expense. Today you can charge up at home and at a few public locations, and while the electricity grid is in place, but until we get quicker charging, charging locations will continue to sprout up haphazardly.